If you're the type of gamer who prefers a mouse and keyboard to a controller, you're probably pretty au fait with the modding scene. 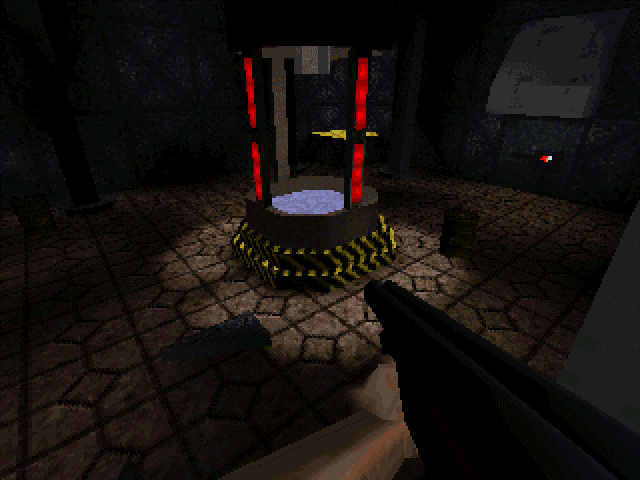 And by extension, you're probably pretty familiar with the Quake engine and the notion of the 'total conversion.' For those not in the know, a total conversion is when you take the base engine of a particular title, and apply a whole new set of graphics over the top. Add new story elements, enemies, weapons and bespoke levels...and you have yourself a brand new adventure to enjoy. 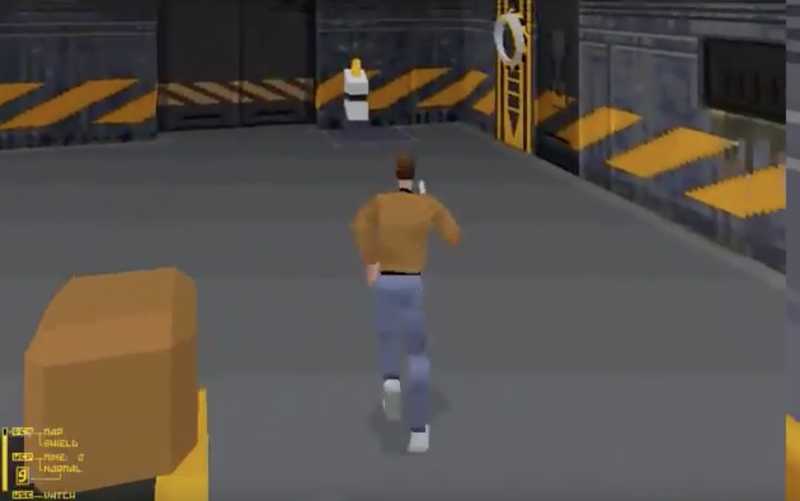 After The Fall is one such example of this, and while the original game was released for the PC way back in 1997, the long mooted Dreamcast port drifted into message board obscurity. The good news is that After The Fall for Dreamcast is back with a bang, with technical obstacles removed and a full on release planned for the near future. The screens in this article are all taken from the Dreamcast version of After The Fall, and were supplied by Pip Nayler, the talented indie developer who has resurrected this long forgotten project. "After The Fall is a total conversion of Quake that was originally released way back in 1997. It's been mentioned on Dreamcast message boards before, but nobody has ever really played it on the console as it doesn't fit in to the Dreamcast's RAM without modification. Also, the Quake community largely considers ATF fun, but hampered by bugs and some low quality artwork. 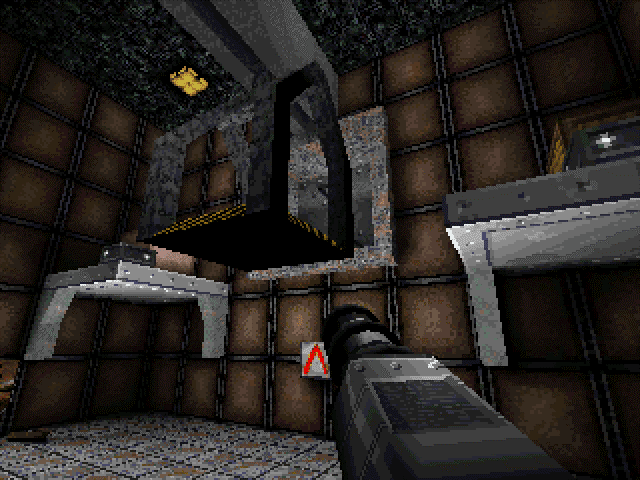 My goal is to help the game gain some new recognition and give the Dreamcast community something new to play, whilst also also allowing me to get reacquainted with Quake modding. "Lowering the texture resolution has allowed me to fit the game in to memory, and it is now playable from start to finish, but my aim is to build upon the original game and make it something really special for the community. As such, I'll be replacing some of the assets from the original game, bug fixing where possible, writing a new backstory for it, and creating some all new levels to help tell the story and make the game feel more connected." It's worth noting that like Rizzo Island, this Dreamcast port wouldn't be possible without the Makaqu engine from mankrip. From the screens we've seen so far, After The Fall looks like it's shaping up to be a pretty interesting shooter, and Pip has hinted that there could also be some online multiplayer aspects built in to the game. What's also worth noting is that After The Fall will be released for free, along with cover art mimicking all three of the main Dreamcast regions. It's still relatively early days, but we're quite optimistic about this one, especially as the whole game is successfully running on the Dreamcast. As ever, we'll be keeping a close eye on After The Fall and when the time comes for us to take a look at a preview build, we'll let you know how it plays. You can find Pip Nayler on Twitter, so if you'd like to keep abreast of development, drop him a follow. 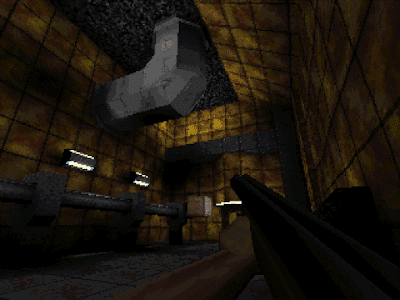 Does the thought of a new first person shooter for Dreamcast excite you as much as it does us? Let us know your thoughts in the comments, on Twitter or in our Facebook group. Rizzo Island is the latest in a long line of independently developed games that have designs on a Dreamcast release, and in this spotlight we thought it would be interesting to take a quick look at this promising title and the story behind it. The creation of Dreameater Games, Rizzo Island is much more than just an indie game - it's also an homage of sorts to the titular character Rizzo, who is based on the musician and surfer Tom Rizzo. 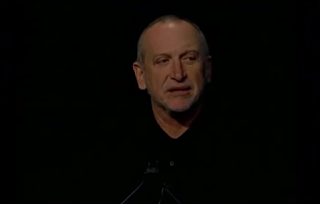 The game's director, David Crowshaw is actually Tom Rizzo's nephew, and when Tom passed away in 2016 David wanted to do something to honour his uncle's memory. 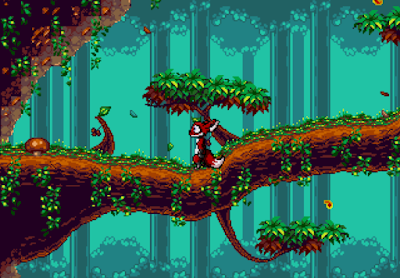 Incorporating Tom Rizzo's music into the project means that as well as starring in Rizzo Island as the main protagonist, you'll also get the opportunity to listen to the music Tom recorded, which is actually pretty good and perfectly suits the style of game. As you can probably tell from the screens and video, Rizzo Island is a third person platformer where you control Tom as he searches the various locations looking for CDs. Along the way, he must solve puzzles and fight enemies (using his surfboard as a weapon, naturally), unlock doors and keep his energy topped up by consuming cans of soda. 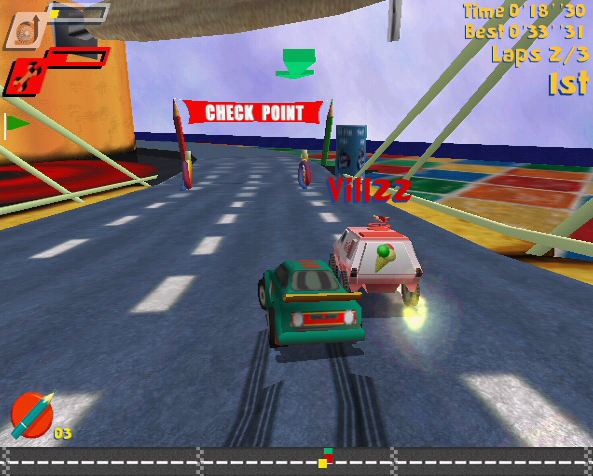 Rizzo Island is built using the Quake engine, and while it may look fairly basic it actually runs really well on the Dreamcast. 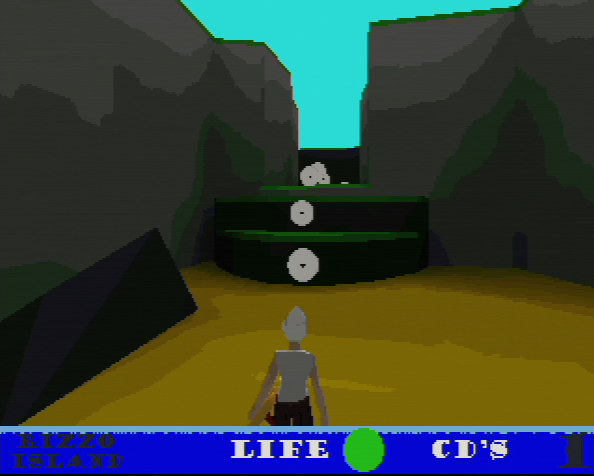 Controls work well - you control Tom's movement with the analogue stick and triggers; while jumping and attacking enemies are handled by the face buttons. 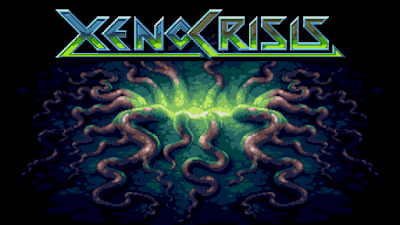 The demo currently only features two smallish levels (and a psychedelic hub world), but they give a good idea of what to expect when the final game is released, and from what I've seen so far I can't help but be impressed. 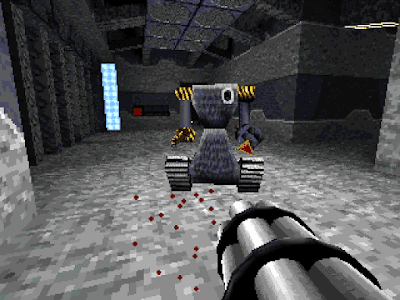 The Dreameater Games team is fairly small but from this short demo, they've done a pretty decent job using the Quake engine in a pretty unorthodox manner. That it runs so well on Dreamcast hardware is a bonus, and the lack of a second analogue stick on the Dreamcast controller doesn't detract from proceedings at all. 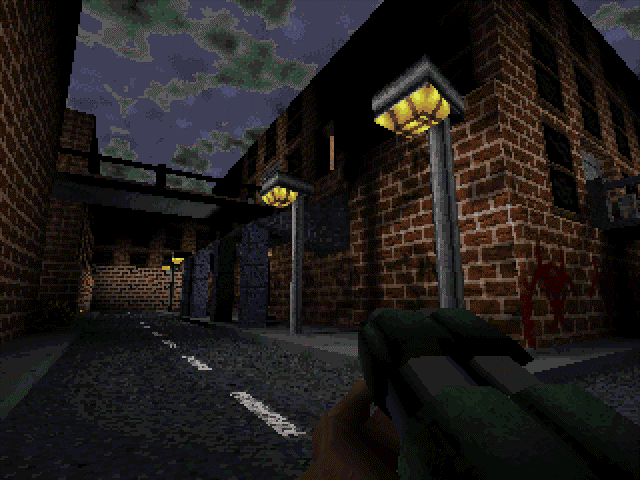 As stated, this is a very early demo and as such the final game could change considerably. However from the small glimpse at Rizzo Island I've had, I will be keeping an eye on this project. Well, an eye and an ear if more of Tom Rizzo's brand of chilled out surf rock music is included. Find out more about Rizzo Island (and grab the demo) on Itch.io, check out the project's Patreon here, and follow Dreameater Games on Twitter for progress reports and updates on the game. BlobCat For Nintendo Switch - A Love Letter To ChuChu Rocket! Like many Dreamcast fans I consider myself a huge fan of ChuChu Rocket!, and I joke that it's the best free game I’ve ever received - we Europeans had it sent as reward for signing up for the online service Dreamareana. Returning home from school one day to find a brand new Dreamcast game out the blue, thanks to Sega, was quite brilliant. While it offered a solid and enjoyable single player experience, the 4 player battles that ChuChu Rocket! offered still rank as some of the best gaming memories I have; and it held the honour of being the only game I ever attempted to play online during the contemporary Dreamcast era. My love of ChuChu Rocket! 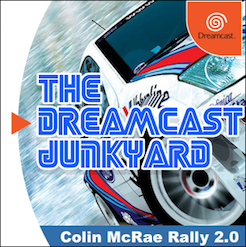 has always fuelled thoughts on why such a seemingly popular and well loved classic never really left the Dreamcast to find a home elsewhere, with a Gameboy Advance port and a fairly brief appearance on iOS being the game's entire post Dreamcast legacy. It seemed like there was a void left by Sega, never to be filled with a true sequel. Step forward BlobCat for the Nintendo Switch. On first glance you could be forgiven for assuming it has some kind of official link to ChuChu Rocket! or Sega. For instance, the description on the Switch eShop reads: ‘The BlobCats are after the DiceMice! 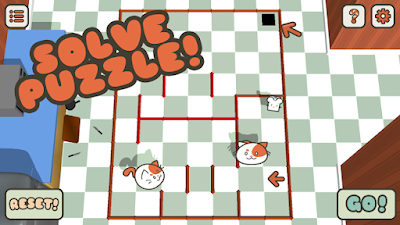 Place arrows to guide the DiceMice to the Micehole!’ This shows the clear inspiration that Christian Wasser and the team behind BlobCat (developer BySamb) took from the beloved Dreamcast title. I thought long and hard about how to approach writing an article like this. 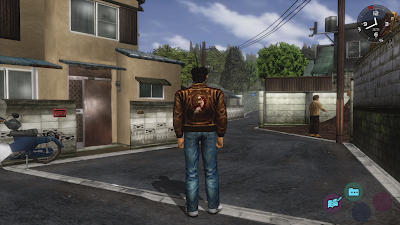 I've never made any secret of the fact that while I find Shenmue to be a marvellous technical achievement and a glittering jewel in the Dreamcast library, I also found the original experience to be a rather cumbersome affair. The stilted scripting, the awful controls and the constant loading screens juxtaposed with sublime visuals, deep and interesting storyline and a dazzling amount of extras in terms of in-world detail, meant that - for me at least - the whole experience was rather uneven. On the one hand it is incredible; but on the other there are many minor annoyances. 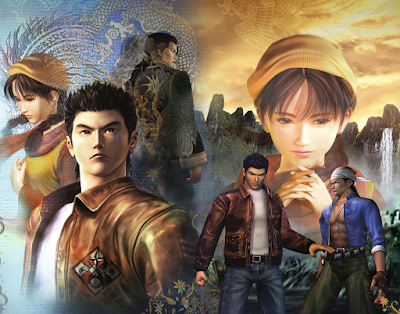 When Sega initially announced that Shenmue and Shenmue II were being repackaged and released for the current crop of consoles and PC, the gaming community went into a bit of a nostalgia-fuelled meltdown. It was as if a long forgotten king was coming back to reclaim his crown from the usurpers. Shenmue was coming back to reclaim it's crown as the greatest videogame that most people had never played. 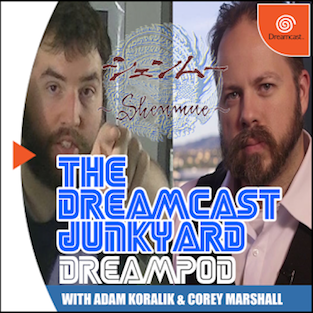 See, even though the majority of people who come here to read our articles may be considered dedicated Dreamcast fans, and by extension are more likely to have actually played the original Shemmue or its sequel (on either Dreamcast or Xbox); there seemed to be something amiss with the celebratory outpourings of emotion on social media. 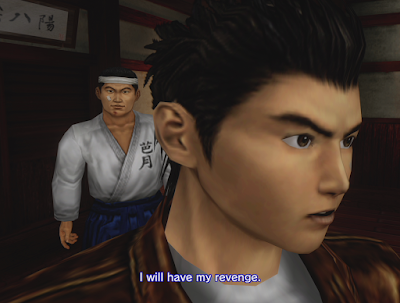 That being, that while the re-issue of Shenmue and its venerable sequel was indeed a cause for celebration, it seemed that a significant majority of those voices proclaiming a victory in having 'saved Shenmue' had never actually played the thing in its original guise. In this life or the next! For this reason alone, doubt crept into my mind. Would the people screaming to the heavens in ecstasy upon hearing about the re-release of Ryo Hazuki's (as yet) unfinished quest for vengeance actually appreciate the foibles of the game once they actually got to experience it? I won't lie - I was a little worried that resurrecting Shenmue and Shenmue II for a new generation of gamers who didn't have to put up with the grinding of the GD drive, the d-pad controls, and relatively small gameplay areas filled with countless painted on shop fronts and houses in which 'no-one's home,' would sour the experience and rob Shenmue of its deity-like reputation. If you're anything like me, you'll find documentation on literally any and every aspect of the Dreamcast to be utterly fascinating. From internal emails announcing the demise of the system, to service manuals detailing schematics; it's all part and parcel of the history of Sega's final console. 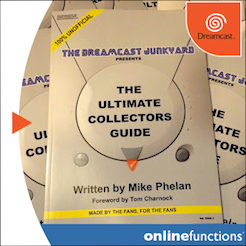 Next up in this adventure into the robustly obscure annals of Dreamcast history, we bequeath you with the lesser spotted presentation delivered by one Jason Powell to assembled delegates at GDC 1999. The topic of the presentation? Accessing the PowerVR 2 features under Windows CE, of course! 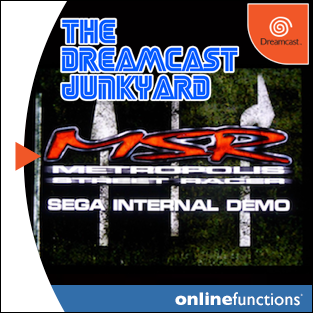 As you can probably tell from the title, it's a real thrill ride through the features offered by the PowerVR 2 chipset and was apparently designed to show off the benefits of the graphics accelerator to potential Dreamcast developers. The guts of the Dreamcast, with the SH-4 and PowerVR taking centre stage. 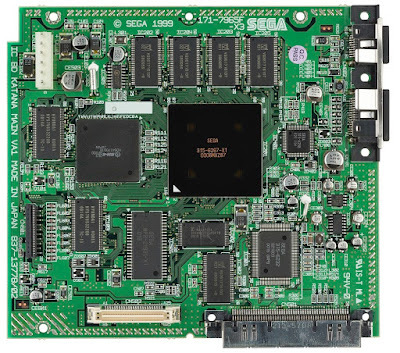 For those not aware, the NEC PowerVR 2 is the graphics chipset that the Dreamcast shared with the NAOMI arcade system, and which is essentially why arcade ports were so effortless. Paired with the 200Mhz Hitachi SH-4 processor, the two made for a fearsome combination and are the force behind the Dreamcast's awesome graphical prowess. 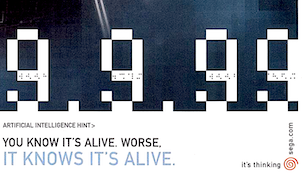 The presentation was delivered - according to the first slide - on March 18 at GDC 1999. On first glance, it does look very dry and is a far cry from the garish PowerPoint presentations we're all able to ham-fistedly knock together these days. It's not even in colour, for a start. That said, the content is the star here, with a pretty comprehensive look at what the PowerVR 2 offers in terms of specifications and abilities. Looking through the presentation today, it all looks fairly tame, but by 1999 standards these specs were at the cutting edge of gaming technology, and I dare say many a developer who attended this conference would have been champing at the bit to get their hands on dev kits. Unfortunately, it doesn't look as though the GDC Vault website has the actual presentation archived, and so we can't share any photos or video of Mr Powell delivering his keynote. For now at least, the slides are all we have as evidence that this event even took place. If you'd like to download the full 16 page presentation and have a good look yourself, you can grab the Accessing PowerVR 2DC Features Under Windows CE presentation here, or by hitting the big blue magic button below. Thanks go to our Facebook group moderator Jon Lee for grabbing this file from a (now defunct) news group back in the early 2000s. 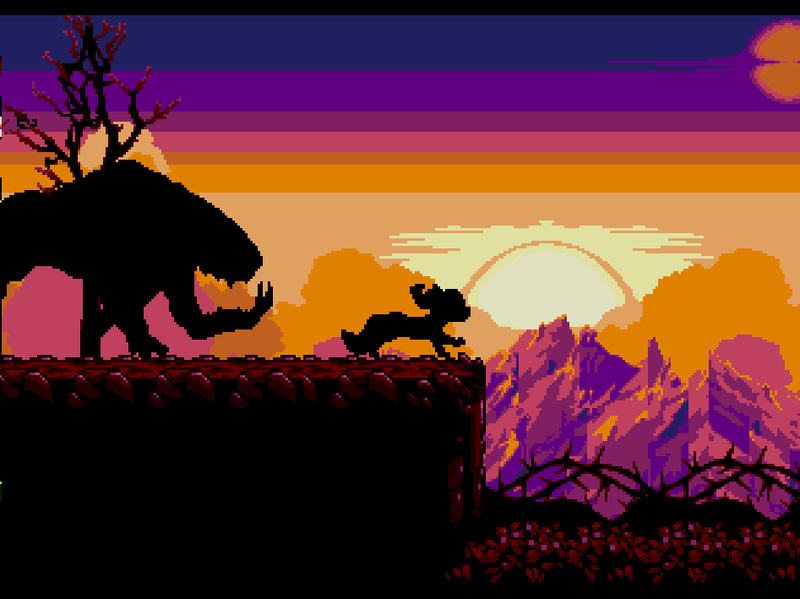 You've probably heard of Tanglewood, the cool-looking Mega Drive platform adventure that blasted through its Kickstarter goal back in December 2016. Big Evil Corp garnered an impressive £56,000 - £8,000 more than their target and it's easy to see why. The impressive visuals and interesting premise have certainly captured the attention and imaginations of gamers everywhere. The premise is that you control a fox-like creature called Nymn, who must find its way back to the pack before night blankets the realm of Tanglewood in darkness. Very 'Animals of Farthing Wood,' I'm sure you'll agree. 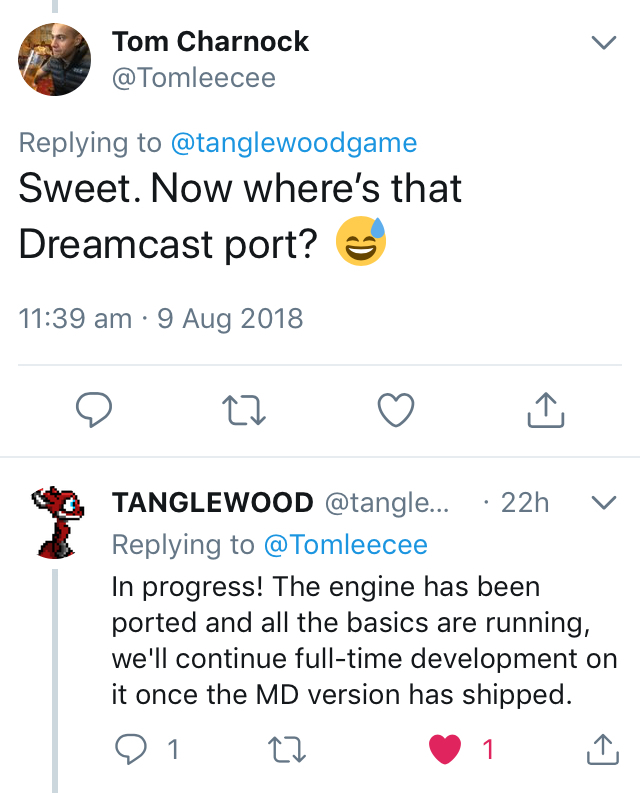 One of the more interesting aspects to the Tanglewood saga, is that a Dreamcast stretch goal was added - and also reached - and as we near the launch date for the Mega Drive cartridge version, we thought it was worth enquiring about the Dreamcast port. 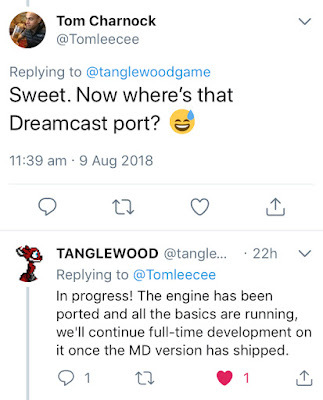 For the benefit of those who can't see the image for whatever reason, Tanglewood say the engine has been ported and all the basics are up and running; and that full-time development will continue once the Mega Drive version has shipped. 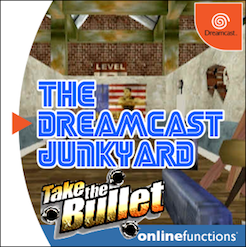 We haven't actually seen anything of the Dreamcast port running yet, but rest assured that we'll be keeping a close eye on any further developments, hopefully culminating in a review of this intriguing little title. Remember to keep an eye on Tanglewood on the official website. Will you be playing Tanglewood when it hits the Mega Drive? Or are you holding out for the Dreamcast port? Let us know in the comments, on Twitter or in our Facebook group. This article is taken from the work-in-progress second issue of the free fanzine, Dream On Magazine. It's hard to believe that Sega released the Dreamcast twenty years ago! It feels like only yesterday. Luckily, the indie developers have been busy these past decades, so there's lots of dreamy goodness to cover. 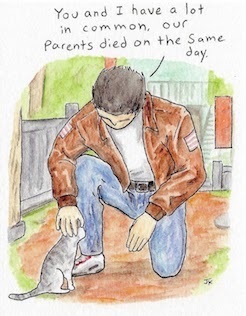 The second issue has taken a long time to come out due to huge mistakes on my part, and I sincerely apologize for that. However, the wait should be worth it, as I've had some awesome help. The DC Evolution crew, the same folks who put together the excellent compilation disc, "The Sandman #1", is helping to make sure that this issue will be the best it can be. 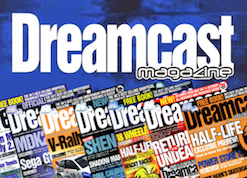 So, feel free to dive in, and read up on the creation of the independent Dreamcast movement. I hope you find as much enjoyment out of it as we've had creating it. Dream On #2, and by extension, this article, would not have been possible without the help of BlueCrab, Christuserloeser, Idarcl, DCDayDreamer, and lyonhrt. 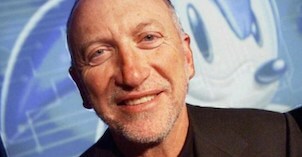 Bernie Stolar opens the floodgates to rumors of Saturn's successor. 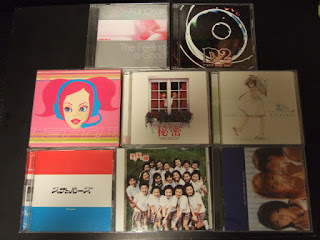 A collection of official MIL-CD enhanced music discs. 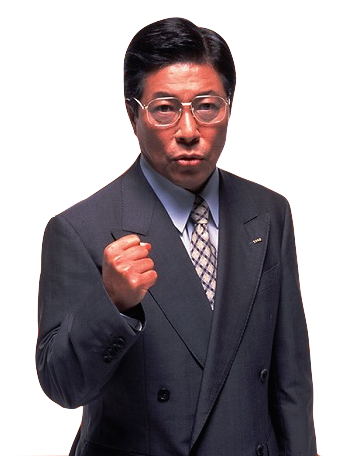 The Dreamcast continues to be attractive to indies because the games can be sold on CD without having to obtain a license from Sega, which drastically reduces the overhead that is usually present in commercial game development for consoles. This ability actually stems from a vulnerability discovered early on in the lifespan of the Dreamcast. Sega of Japan developed a multimedia system called the MIL-CD, or Music Interactive Live-CD. 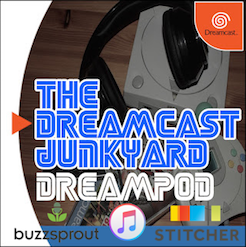 As well as running this place, a YouTube channel, an award-nominated podcast, the world's best Twitter account* and the largest Dreamcast-related group on Facebook, we fine folk at the Junkyard also occasionally crawl out of our respective holes to support live events. Indeed, any of you who have visited either the Play Expo or Revival events around the UK in previous years will attest to having witnessed the Junkyard team drinking heavily and beating away rabid fans/autograph hunters with extreme efficiency and accuracy. October 6th will see some of us donning our protective hazmat suits once again as we attempt to engage the public at another event - Southampton Game Fest 2018. As the name suggests, this is a festival of all things gaming, and will be held in the city of Southampton on the south coast of England. Southampton Game Fest is held entirely in support of various charities, and this year will be held in several locations across the city. 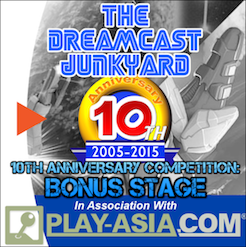 We'll have multiple Dreamcast consoles set up, along with a host of peripherals and games for people to play on. If you're free on Saturday 6th October, why not come down to the event, buy us beer, play some Dreamcast games and get involved with the fun? 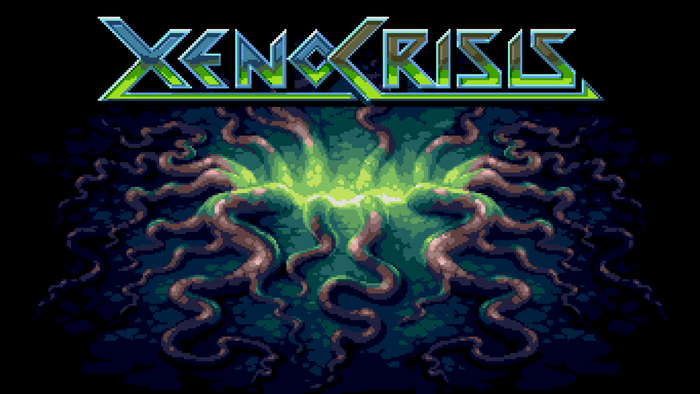 As well as us, the folks from Bitmap Bureau will also be supporting Game Fest, so it's a perfect excuse to get some first hand experience with their awesome-looking retro inspired shooter Xeno Crisis. For more information and to buy tickets (or become an exhibitor yourself), head over to the Southampton Game Fest 2018 website here. You can also find out more information on our upcoming events by checking the Events page here. * This, like the cake, is a lie. 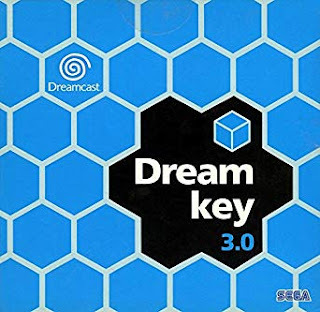 Unless you've been living under a particularly large rock for the past couple of years, you'll no doubt be aware that the Dreamcast is once again a viable online gaming platform. This is mostly due to the work of one Luke Benstead, the talented chap behind the DreamPi. 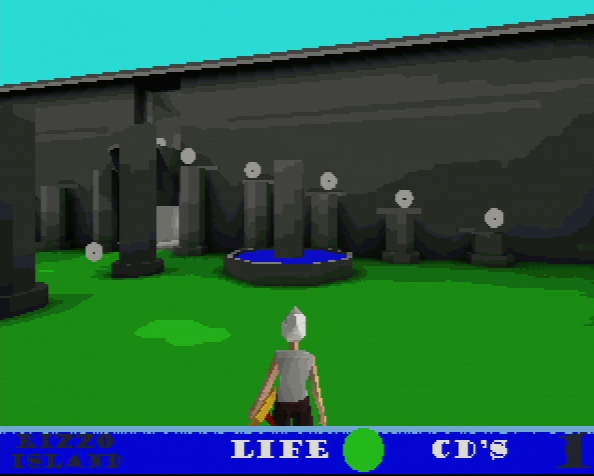 The DreamPi software (recently updated to version 1.7) written by Luke uses a Raspberry Pi to enable the Dreamcast to connect to online gaming servers hosted by Dreamcast Live, and as such a burgeoning community of online Dreamcast gamers has sprung up in recent times. "I'm still amazed that a little side project I started few years back has had such a massive and unexpected impact on the Dreamcast community. That over a thousand people have gone to the effort of setting up a DreamPi to get their Dreamcast back online shows their love for the console. The community is definitely still growing, too. It's also worth mentioning the work of Pcwzrd at Dreamcast Live and Shuouma, as if it weren't for their efforts I doubt anyone would be bothered about DreamPi." 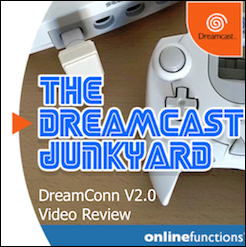 Most of us here at the Junkyard are regular participants in the online gaming sessions organised via the Dreamcast Talk forums, and setting up a DreamPi is literally as easy as pie (sorry). 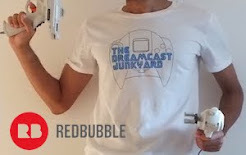 If you would like to join the ever-growing community of online Dreamcast gamers, head over to Luke's blog or visit Dreamcast Live for further details. Here's to the next 1000 Dreamcasters joining the party! Do you play online with your Dreamcast? Have you screamed at the sky as I beat you mercilessly at Toy Racer or POD 2? Let us know in the comments, on Twitter or in our Facebook group.